Your clients may not know it, but your know how important it is to get the right illumination for any room, whether it is through natural light filled windows, or artificial sources like lamps, the effect can change the mood of the room and of your client!. Numerous studies show how humans respond and feel better in a home with plenty of natural light. And people who’ve been feeling stressed, cranky, or generally in a bad mood, know that lightening up a home, or just a room can vastly help improve their disposition. No matter whether it is a long, grand hallway, or a small and dark apartment you are decorating, there are still ways you can illuminate and bring life into your client’s project making it appear chic and modern with just a few simple fixes. As a designer you know that aside from buying , you can also invest in other home accessories and arrange fresh paint colours with the result of a quick improvement giving your client a brightly-lit and sophisticated home. When redesigning any part of your home’s interior, buying table lamps online in Australia can be one of your best options. That’s because a table lamp can efficiently address both accenting and lighting a room (or part of a room). 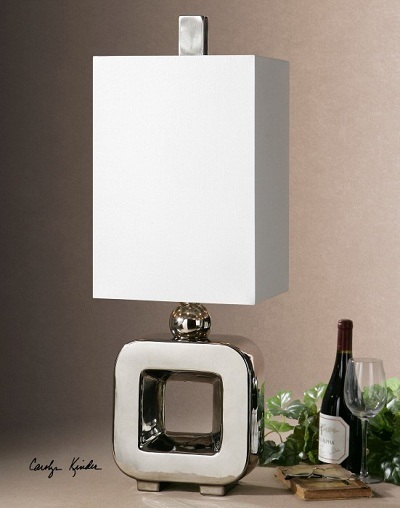 Just like any purchase, however, there are different considerations to make in choosing a table lamp. Here are some of them. The furniture page at About.com lists size as the first factor to think about. In many cases, this is indeed a logical place to start when selecting a table lamp for your purposes. You can find lamps in a variety of widths and heights, so it’s a given that your choice would largely depend on where you would place the fixture. For a table lamp, the height of the table plays an important part in the decision, wherein a short lamp perfectly suits a high table and tall lamps are best for low tables. 1.Geometric line lamps – These cool modern table lamp designs usually have long stands, are very thin, and form simple shapes and patterns. These minimalist lamps are ideal for small spaces because they can make the place look bigger, especially if the light is very bright. 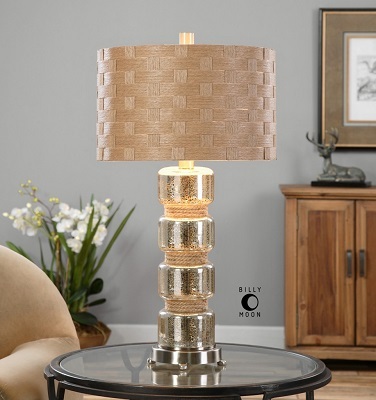 When you’re looking to improve how your rooms look, buying Australia table lamps online from shops like Uttermost Australia can help. Proper lighting and decor can significantly change the atmosphere and appearance of your living space, whether it’s a bedroom or a living room. Table lamps and other lighting fixtures combine, providing illumination and decoration into a single object, so they’re especially useful. Here are a few tips on how to properly light up your rooms. Your main room is where your family congregates. This means you’ll want it to look spacious and accommodating. You can accomplish this by making sure the room is brightly lit. This is easy during the day, especially if your living room has wide windows. For night time, you can have the same effect by having lamps strategically placed around the edges of the room. This makes their light radiate inward to give the illusion of wide space. The most common factor in getting enough sleep is the bed, and everything that’s on it. Choosing the most comfortable mattress material is not enough to have a pleasant sleep; the mattress must be the right size as well. Tall persons should sleep in a mattress that holds their entire body, from the top of their head to the soles of their feet. If they’re sharing the bed with someone, the mattress must be wide enough to accommodate them both to guarantee cosiness throughout the night. Bedding choice is also crucial. Natural fibre is generally the best option for bed sheets. Silk is good for all seasons as it warms the sleeper during winter and cools him/her in summer. Pillows go along with the whole sleeping experience and they should be soft, yet firm and cuddly. When everyone goes modern, stand out from the crowd by going back in time with wild and wacky retro themes, complete with ordered retro table lamps online from Australia. 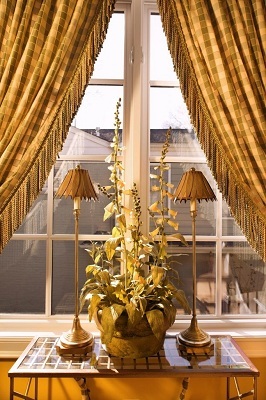 In an article for Lifestyle.com, décor expert Jessica Ackerman noted several ways to get retro. Similar to task lighting, accent lighting is used to draw attention to the room’s interior details. Wall sconces highlight the house’s architectural details; this type of lighting is also used to draw a visual point of interest, such as plants, paintings, and collectables. Accent lighting, however, requires more illumination on the focal point of interest, and is usually achieved by combining track, recessed, and wall-mounted fixtures. By making the most of various lighting styles and using different types of lighting fixtures, you shape the tone and feel and atmosphere in a room, and sometimes with the proper lighting, a room can even look larger. 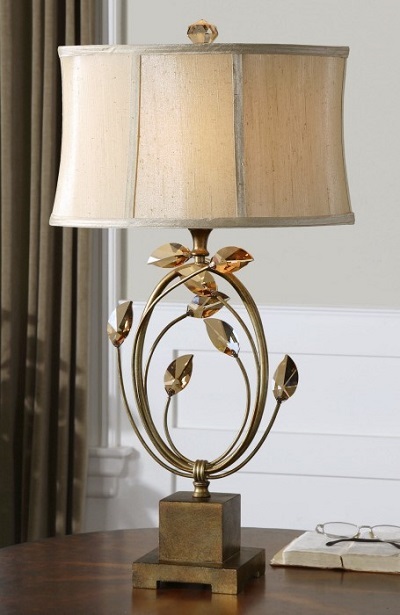 Trusted table and bedside lighting stores, such as Uttermost Australia, offer a wide selection of Australia table lamps online that can serve for your task lighting functions.